So much of the process of buying and selling cars is already done online. Car Champs - a successful car dealership that has been on the market for years, learned this the hard way when they noticed their sales on a decline. They needed a website that effectively showcased their inventory and attracted more leads. So they came to us. When we are creating a website that requires sophisticated inventory management on top of having to attract leads, we usually start with discussing and implementing essential back-end functionalities. In the case of Car Champs, what we created was a state-of-the-art back-end system with a simple, user-friendly interface that allowed the team to update their inventory within minutes. They are now able to add new vehicles to their fleet by simply inserting the VIN number, after which the system automatically fills in all of the vehicle’s details and pulls its CarFax reports. They can also easily mark a car with a “Sold” stamp, which communicates to potential clients that what they are offering is not going to be available forever. These features saved them plenty of time and money, and let them spend more time doing what they specialize in. 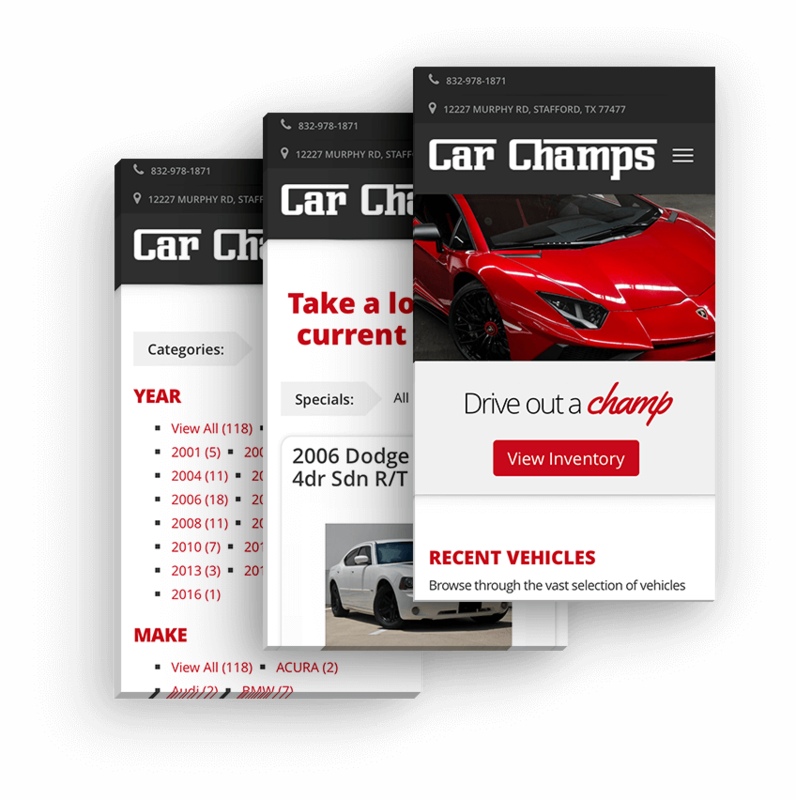 After we created a website for them, we started brainstorming about how to make the website design more attractive and get Car Champs more online leads and sales. To do this, we highlighted their top selling brands by using crisp high-quality images. We wanted to convey the pleasure of driving a car that you know is everything you have dreamed of and more, so we made sure that the focus of the visitor was on these images. 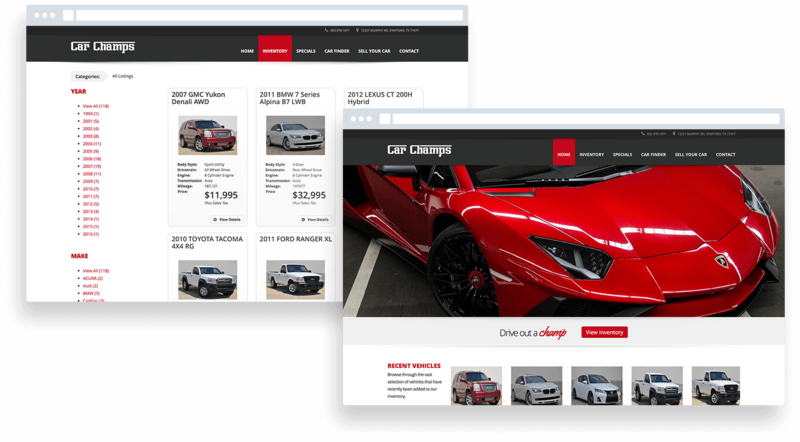 Because Car Champs likes to offer special deals on some of their vehicles, we also made sure that this was featured on a separate page and was immediately visible for all website visitors. Case studies show that they click there even before they start searching for anything else. We obviously hit the nail right on the head, because after launching this brand new website, their online leads increased by 300%. Now that is what we call a success story!